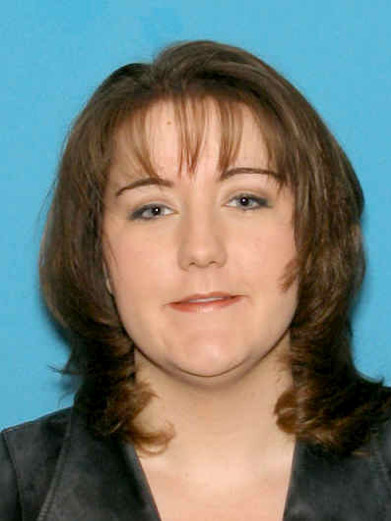 OLYMPIA – The Washington State Patrol said a missing 27-year-old Spokane woman who left her car and walked off a ferry was spotted Tuesday in Shoreline, Wash.
Amy Story’s family told police she suffers from a bipolar condition and might not be taking her medications. “If she’s having some mental health issues, we’d like to get her some help, get her an evaluation,” said Sgt. Craig Johnson. Police have been searching for Story since she left her Mitsubishi Galant parked on a ferry after traveling from Bainbridge Island to Seattle on Monday. She left personal belongings in the car and was seen leaving the ferry. Story has experienced similar episodes in the past, according to the State Patrol. Story was visiting relatives in Sequim, Wash., and might be trying to make her way back to Spokane. On Tuesday, Story was seen at a hotel in Shoreline at 3:30 a.m., police say. Surveillance video shows her looking through what appear to be tourist brochures on a rack in the hotel lobby and talking to the front desk clerk. She was by herself, Johnson said, and apparently didn’t have any money to check in. She left after about an hour. There was no indication she was in distress, Johnson said. Story was also spotted later that day at an intersection north of downtown Seattle. Anyone with information on Story’s whereabouts is asked to call State Patrol Detective Russ Haake at (425) 401-788 and press option 1 at the voice prompt.